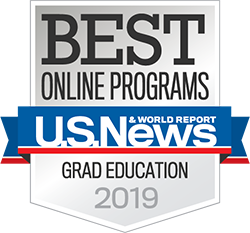 For the second consecutive year, the University of Missouri’s online graduate education programs have been named the best in Missouri and ranked 38th nationally by U.S. News & World Report. This represents the top 12 percent of institutions participating in the rankings survey. Currently, there are 22 online master’s programs and eight online graduate certificates offered by the MU College of Education. “Our alumni and current students consistently acknowledge the career boost they receive from learning with Mizzou’s faculty and global colleagues,” said Kathryn Chval, Dean of the College of Education. U.S. News bases their rankings on institution-supplied data evaluating student engagement, student services and technology, faculty credentials and peer reputation among other categories. More than 1,500 students are enrolled in online graduate programs in the College of Education annually.